Thousands of people die in large truck crashes each year. Most of these fatalities are passengers in smaller vehicles, although a small percentage is made up of truck driver fatalities. These accidents also cause thousands of injuries in the U.S. annually. When you or a loved one gets injured in a crash caused by the truck driver or trucking company, how do you hold them accountable? Call the lawyers at The Kelleher Firm in Naples and Fort Myers at 833-546-3675. We can determine if you have a claim and let you know what your options are for pursuing accountability for the at-fault party. A number of factors can come together and cause a truck crash. But oftentimes a certain person or group of people is ultimately at fault. In a claim handled by our attorneys, we demonstrate how this person's negligence ultimately resulted in the crash that injured you. Our lawyers know how to investigate the details of your crash to determine fault. The trucking company – and the insurers who work for them – will most certainly get to work quickly to protect themselves. You need an equally aggressive advocate looking out for what is in your best interest. If you aren't sure if you have a claim, don't worry about the details before speaking with our attorneys. 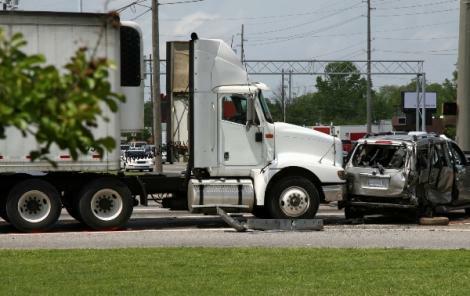 The key is to determine if someone else's negligence is what caused the truck to crash. Sometimes it can be difficult to know. Let our attorneys investigate the cause of the crash for you, and then advise you what to do accordingly. The size and weight of a tractor-trailer colliding with a much smaller vehicle can easily cause these life-altering physical injuries. Unfortunately, these types of injuries may cause the injured victim to need assistive equipment for the rest of their lives, such as wheelchairs or other devices that allow them to adapt to their injuries. Thankfully these technologies are available and more effective than ever before, but it does change the daily life of the victim, and these technologies can be really expensive. In addition to the physical, mental and emotional toll of these accidents, the injured person may find they are unable to perform their former job duties or unable to work at all. Such circumstances can be extremely stressful. How will you support yourself and your family? How will you continue to pay for the medical care you need? Compensation pursued in a crash claim should help you do those things. 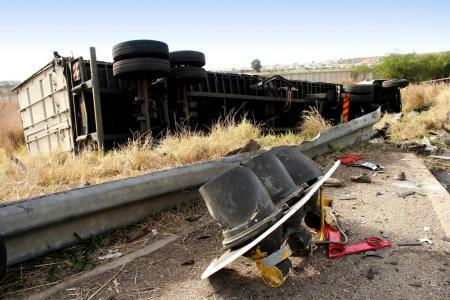 Tragically, some truck accidents kill the occupants of other vehicles involved. This is not uncommon. According to the Insurance Institute for Highway Safety, more than 3,850 people died as a result of large truck accidents in 2015. Sixty-nine percent of those who died were the occupants of smaller vehicles. Sixteen percent were truck drivers, and 15 percent were bicyclists, motorcyclists and pedestrians. If you lost a loved one because of a truck accident, you still have the eligibility to pursue compensation in a wrongful death claim handled by our lawyers. Like an injury claim, wrongful death cases seek compensation to pay for your loved one's medical bills. But they also seek compensation for the loss of your loved one's financial contributions and other financial benefits. They are designed to help you pay the funeral expenses and burial costs. And they also seek compensation for the pain, suffering and anguish caused by losing your loved one. No amount of money can undo the harm that has been done to your family. But compensation can help you pay for the real expenses of the death and provide a means of holding the responsible person accountable. There are certain federal regulations related to the operation of a tractor-trailer. Typically, the most relevant regulations to a crash claim have to do with hours of service. These laws lay out exactly how many hours a truck driver may remain behind the wheel without taking a break. They cannot continue to drive without rest. Doing so is dangerous because it leads to drowsy driving. If hours of service regulations were violated in your situation, then that would certainly indicate the truck driver's own negligence may have caused the crash. We are extensively familiar with federal and state traffic and trucking regulations. After reviewing the details of your case, we can determine if one of these statutes will be a factor in fighting for maximum compensation on your behalf. There are actually quite a few parties who may be at-fault for causing the accident, and it's not necessarily the driver. The root cause of the crash may go back to something that occurred long before the accident, during the maintenance or loading of the tractor-trailer. Rely on us to determine who caused the crash. We utilize our network of experts, accident reconstruction specialists, doctors and others to determine the cause and the liability. Once we determine who caused the crash, we will not back down, no matter how powerful the opponent. Trucks are heavy, large vehicles dangerous by nature. Companies and individuals responsible for them should exercise the right amount of caution to keep people on the road safe. 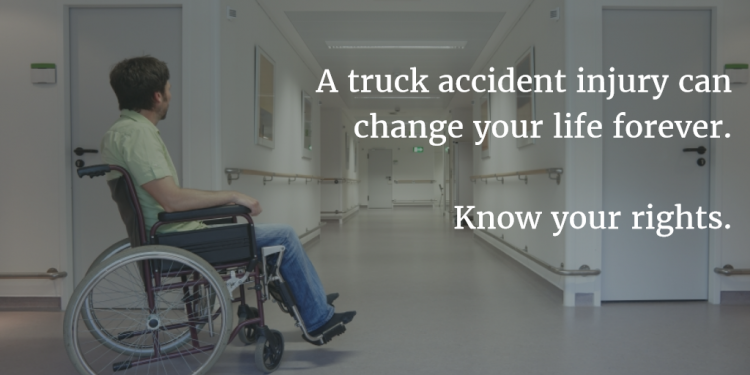 Wondering if you have a truck accident claim in Florida? The Kelleher Firm has offices in Naples and Fort Myers. We are ready to hear the details of the crash and determine if you have a case. For a FREE claim review, please call our law firm at 833-546-3675 or contact us online. We offer these free case evaluations over the phone, 24 hours a day, 7 days a week. We also offer the advantage of contingent fees, which means with no recovery of compensation, no fees are charged. You won't pay us anything unless we successfully recover compensation on your behalf. These contingent fees can be immensely important to people who are dealing with expensive physical injuries, lost income and vehicle damage.